Learning to make German stars has been on my to-do list for a few years so I’m very happy to report that I have finally joined the ranks of those who know how to fold ’em. I’m not going to lie, I swore a lot (a whole lot) while folding my first star. (Don’t worry, the kids were asleep and out of earshot.) 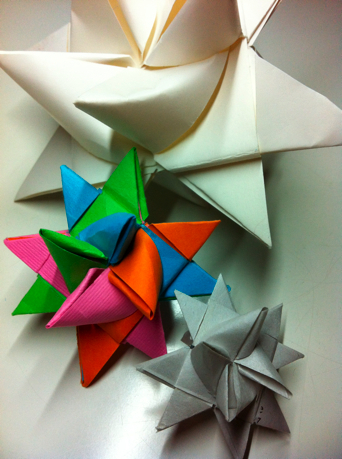 The fact is that folding German stars is a skill that comes after a bit of a learning curve. Those who get a reasonable amount of sleep, will likely have less difficulty mastering this holiday craft project. If you’re feeling a little sleep deprived, I recommend that you make your first star while barricaded in a room by yourself just in case you’re prone to off-color muttering. First, we need to our paper ready. 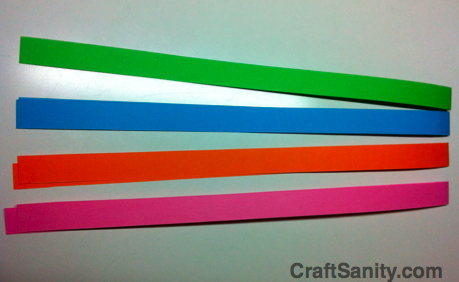 Cut 1/2- inch strips of card stock paper measuring 11″ long in four colors. 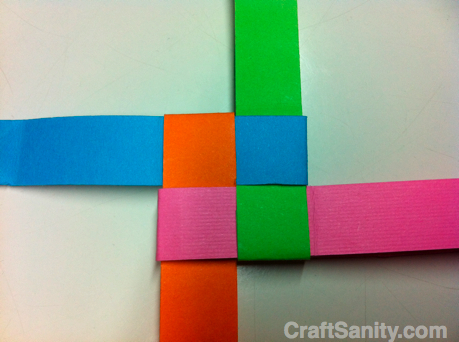 You will need two strips in each color for a total of eight. To create nice long strips, overlap the matching strips and use a glue stick to glue each pair of 11″ strips together to create strips measuring approximately 21″ in length. 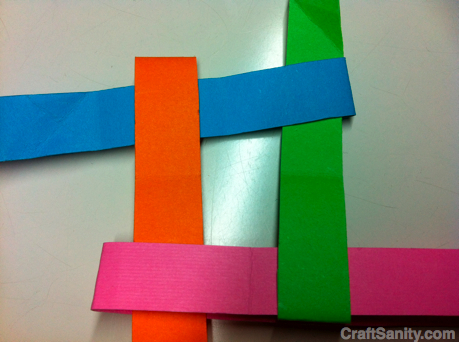 (If you have extra long pieces of paper around, you can simply cut 21″ strips and skip the gluing. 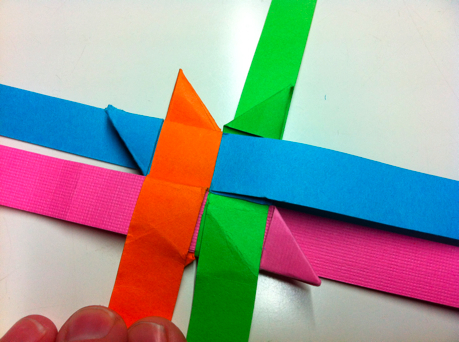 Now carefully fold each long strip in half. 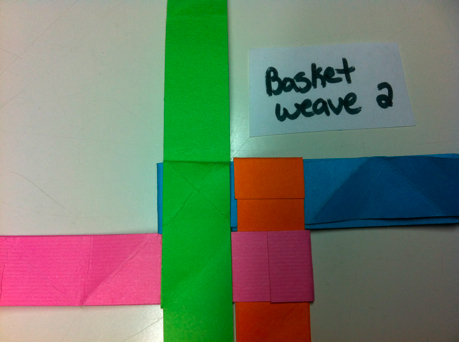 And interlock them to form a basic basket weave as shown below. If the back doesn’t look like this, don’t worry. Just adjust the strips until it does. You can totally do this. And don’t worry about the connections where you glued two pieces together. You won’t be able to see these when you’re done. Ok, you’re doing great. Now, weave the strips again working with only the top layer of strips as shown in the next set of photos. First, fold a green strip down. 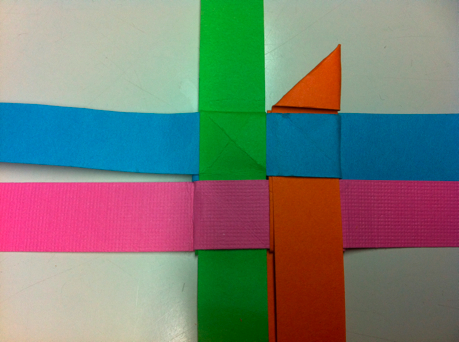 Next, fold a pink strip across the green strip. 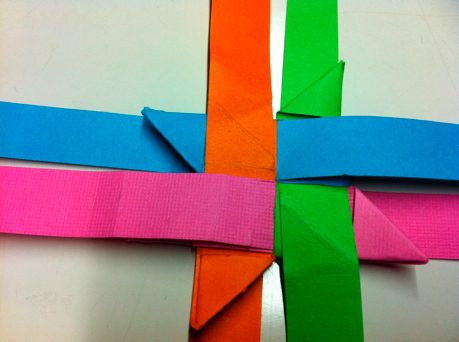 Now fold the orange strip up over the pink. 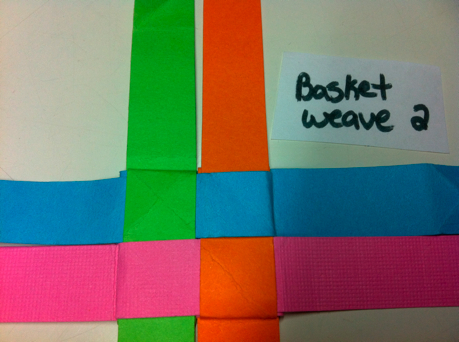 Now fold blue strip over the orange and weave it under green. Awesome. 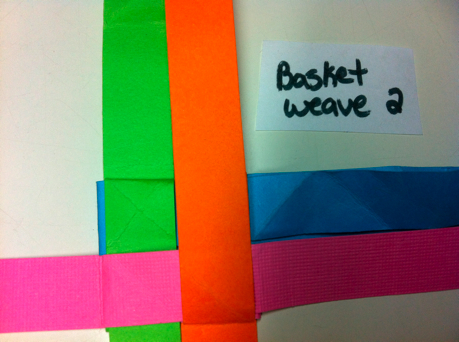 The backside basket weave is complete and now you’re ready to fold the points. Starting with the orange strip on the top right, fold it on the diagonal to the right so the orange strip is parallel to the blue strip. 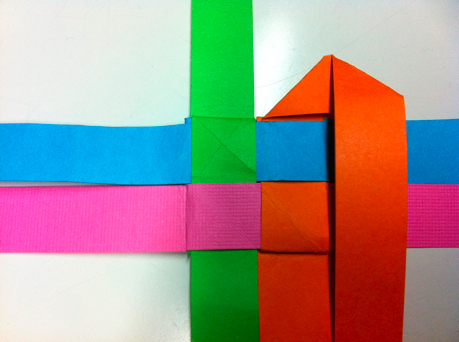 Now fold the orange strip on the diagonal back toward the left so it is now parallel to the first orange strip. Now, fold the orange strip you’ve been working with to the left onto itself. 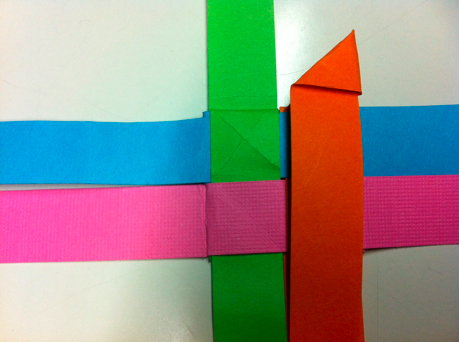 To secure the point in place, pinch the point to prevent it from unfolding and weave the orange strip under the blue strip and over the orange one. Congrats! You made your first point. 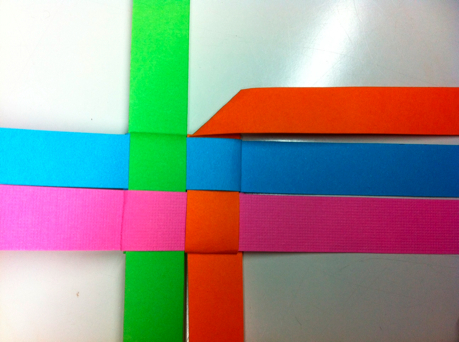 Now, skip over to the green strip to the left and fold the blue strip in a point the same way you did the orange one. 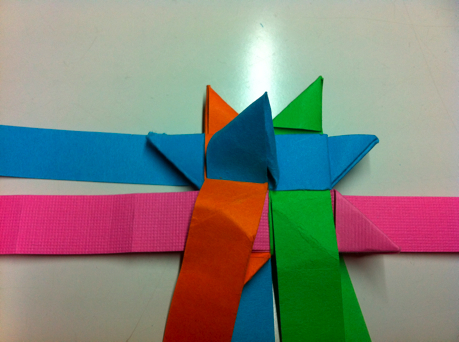 Then skip the pink strip and fold the green point next. And then skip the orange and fold the pink point. 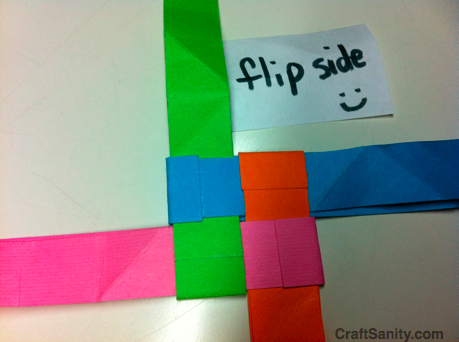 Now you’re ready to flip over to the other side, and fold the last four points. Alright. Now we’re to the part that inspired a bit of swearing at the CraftSanity Headquarters. This is when it gets a little tricky, but I know you can do this. 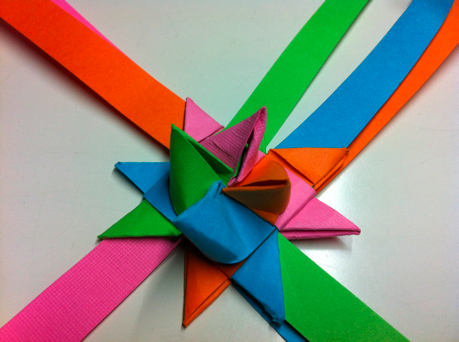 And once it clicks, you’ll be able to fold these stars in your sleep. This is the grand finale of the German star. 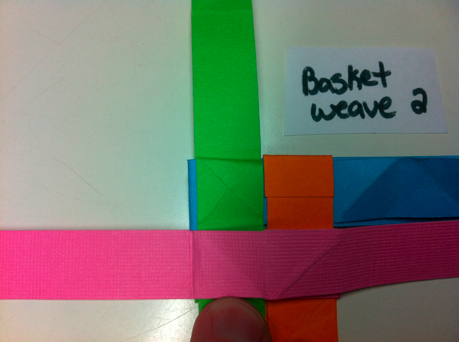 Take the blue stripe and loop it around so that the top of the strip that is coming out from under the orange strip (to the right) is still facing up when you wind it around and weave it under the orange strip you moved out of the way and the pink strip that is woven horizontally. 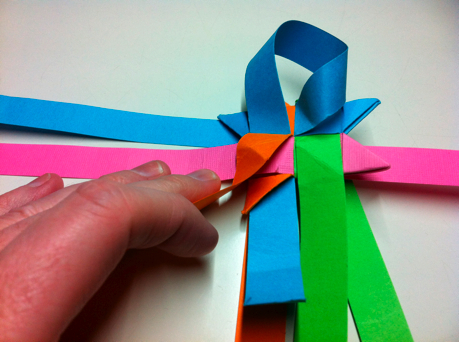 Pull the blue strip end gently to tighten and shape that twist into a nice point. 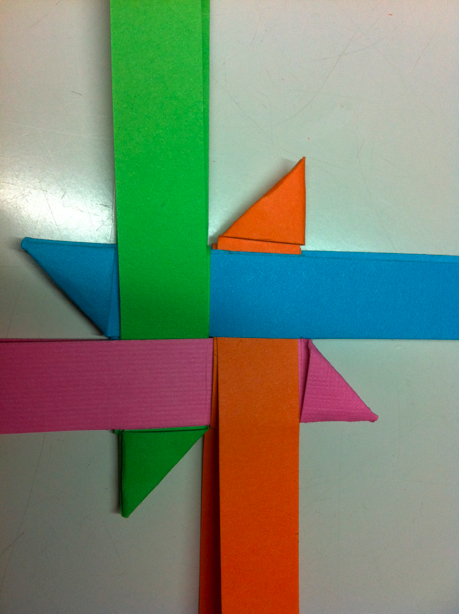 Folding the center points is a bit of a mind bender at first, at least it was for me. But you will get it. And because it is a little tricky, I made a short video clip to help you out. 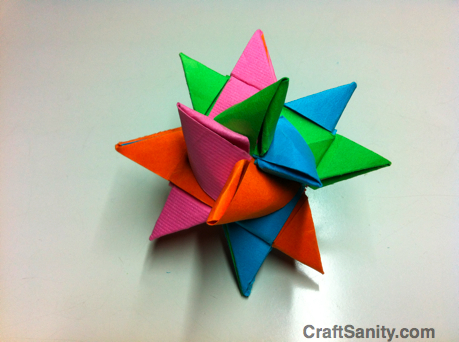 Now flip your star over and fold the center points on the second side. When you are done, trim the excess paper off and raise your arms in the air! Victory! You are a crafting rock star! High five! You can find definitely a whole lot of details like that to take into consideration. That’s an excellent point to bring up. I give the thoughts above as general inspiration but clearly there are actually questions like the one you bring up where the most important factor is going to be working in honest excellent faith. I don?t know if finest practices have emerged around factors like that, but I’m positive that your job is clearly identified as a fair game. Both boys and girls really feel the impact of just a moment’s pleasure, for the rest of their lives.